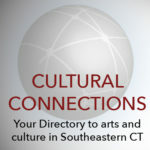 Southeastern Connecticut is home to vibrant performing and visual arts centers dedicated to the creation, presentation and production of dance, music, theater and fine art. These centers are valuable civic resources that provide education, access, exchange of creative discourse, opportunities for cultural expression and awareness. The Eugene O'Neill Theater Center is the nation's preeminent theater development center. The O'Neill is dedicated to the creation of innovative new works and support of artists, enriching the lives of artists, students, teachers, and audiences. Expressiones is a non profit Latino cultural center dedicated to providing the community with quality artistic programming. Expressiones celebrates diversity by inspiring the community to immerse themselves in the music, art, and customs of our multicultural population. Combine stunning views of the Connecticut River and a charming historic building with the best musicals you’ll see outside of NYC. It's a two-time Tony Award-winning theater that produces top-notch musicals at The Goodspeed in East Haddam and The Terris Theatre in Chester. Nurturing artists and the creative process – in the arts and in nature. I-Park is both an open-air and a closed-studio laboratory for individual artistic pursuits in the fields of music composition/sound art, visual arts, architecture, moving image, creative writing and landscape/garden/ecological design. The Katharine Hepburn Cultural Arts Center is a non-profit performing arts organization located in a historic building in Old Saybrook. The Kate presents music, theater, opera, dance, comedy, film, and children’s programming. A small museum honoring Katharine Hepburn is located in the lobby. Founded in 2007, La Grua Center is a nonprofit cultural center in Stonington Borough offering a wide range of concerts, lectures, and art exhibitions in an intimate, acoustically distinctive space flooded with natural light and vaulted ceilings. MS17 Art Project is a contemporary art space located inside the Historic Harris Place in downtown New London. It offers the general public a dynamic roster of engaging and thought-provoking exhibitions and performances, temporary public art and public programs enriched by the gallery’s unique setting. Located in downtown Norwich across from City Hall, the Norwich Arts Center has been in operation since 1987 with two galleries and a 135-seat theater. 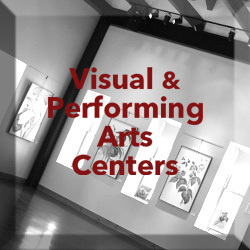 We host musical, literary, theater, dance and visual art events and classes. Rental availability. Spectrum Gallery is an addition to the Arts Center Killingworth, a non-profit arts organization founded in 2003, serving the Connecticut shoreline and river valley. Spectrum showcases regional and national artists and artisans, and offers regularly scheduled art classes and workshops for all ages and levels.